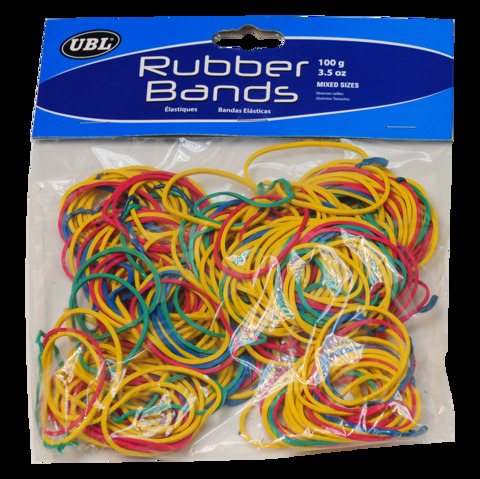 Rubber Bands 100G 2Asst. 38mm Diameter. 2 Assorted Packs: Clear Brown In Flat Style l Multi Colour Rounded. Rubber. 100G Packaging: Polybag with Header Card.